I really enjoy walking through the busy streets picking out the places where I want to shop. 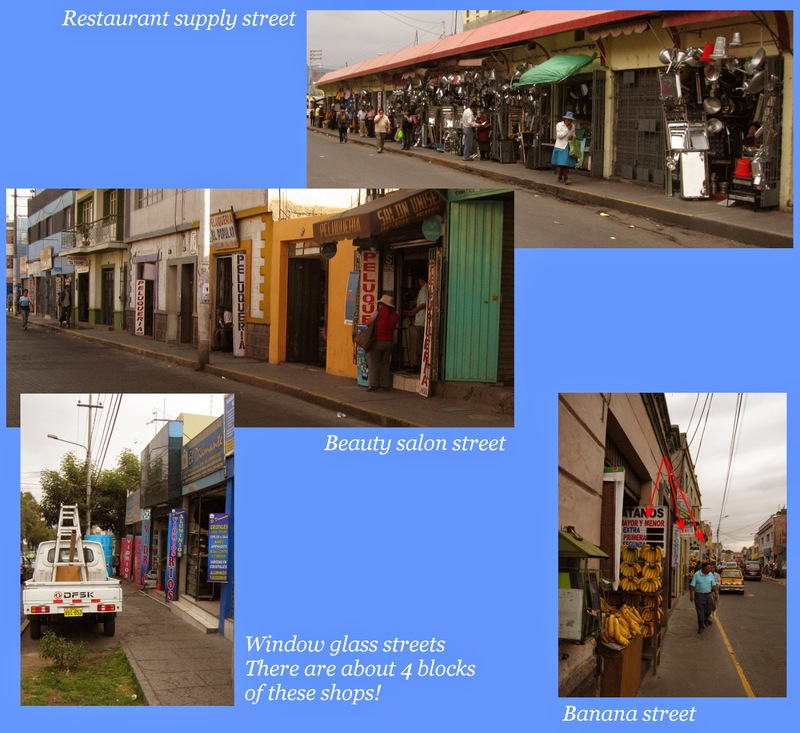 Each street seems to have its own specialty and once you know which streets cater to which items, then you know where to go. Then it is a matter of picking the shop. Both in the San Camillo market and on the street, I look for the friendliest people with the smiling faces. Some vendors ignore me, probably thinking I am another tourist who is not going to purchase anything. This leads me to a little aside: One day I was just sauntering through San Camillo looking and trying to decide what to purchase. No vendors paid me any mind at all. They are used to tourists just wandering through taking photos and nothing else. Then I purchased some fruit which was place in a bag and once I was carrying an obvious purchase, all of a sudden, most all the vendors tried to get my attention! Regarding bargaining: In the first place, I am awful at bargaining. Since I mostly buy everyday items and not “touristy” stuff, I am usually offered the same prices as everyone else. And they are so low, how can I try to get a better deal? One day last year, however, a banana vendor on the street asked for 5 soles for two bananas. I looked at him and said in a surprised voice as I dropped the bananas, “CINCO SOLES?? ?” He laughed and knew I had him. I bought them for a sol, then gave him a half sole for his sense of humor. There are also streets that mostly have shops that sell underwear; shoes; audio equipment, printer ink (! ), computers, fabrics just for upholstery; blankets; zippers, bindings and other sewing notions; wedding paraphernalia; baby stuff; school supplies…you name it. There are also streets for the buyers of gold; shoe repairer shops; as well as for internet cafes and copy centers..
Oh, and those little quail eggs. I LOVE those. But the only place I find them is on these little carts in the street. The women who sell them move around so you are never sure when you are going to come upon them. It is easier to find them in the morning. When you ask for a bag, you get 5 little peeled eggs for a sol (about 33 cents). They are so good! I want to get some to bring home for a salad, but I always end up eating them while walking down the street. I bought the underwear in a kind of dark indoor mercado where every shop had only underwear types of things: bras, camisoles, and thongs hanging everywhere! For the kind of yogurt I want, I have to go to the supermercado, which is just like our supermarkets. In small shops and in the market, they only sell sweet flavored yogurts and I want it “natural,” or what we call plain. It still has some sugar in it but does not taste quite as sweet. And it is more like what we call kifer—you drink it. There is young lady who sits on the street every day selling vegetables. From her I buy my tomatoes and cucumbers as I walk home. I have yet to ask for a photo because she is pretty shy. 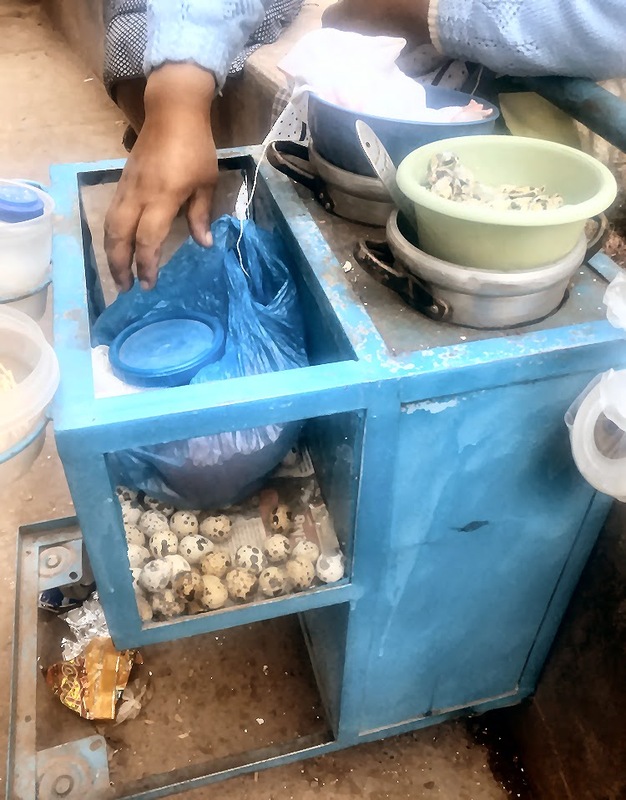 And right on the corner near my home is the Quechua woman who has a snack trolley where I often buy little sweets to go with my afternoon tea. She asks how to say words in English and then tries to teach me some Quechua! And that is how I shop—mostly for my lunch ingredients—here in Arequipa. I am fed breakfast and dinner at my B&B (which makes it technically a BB&D–or maybe a boarding house?). 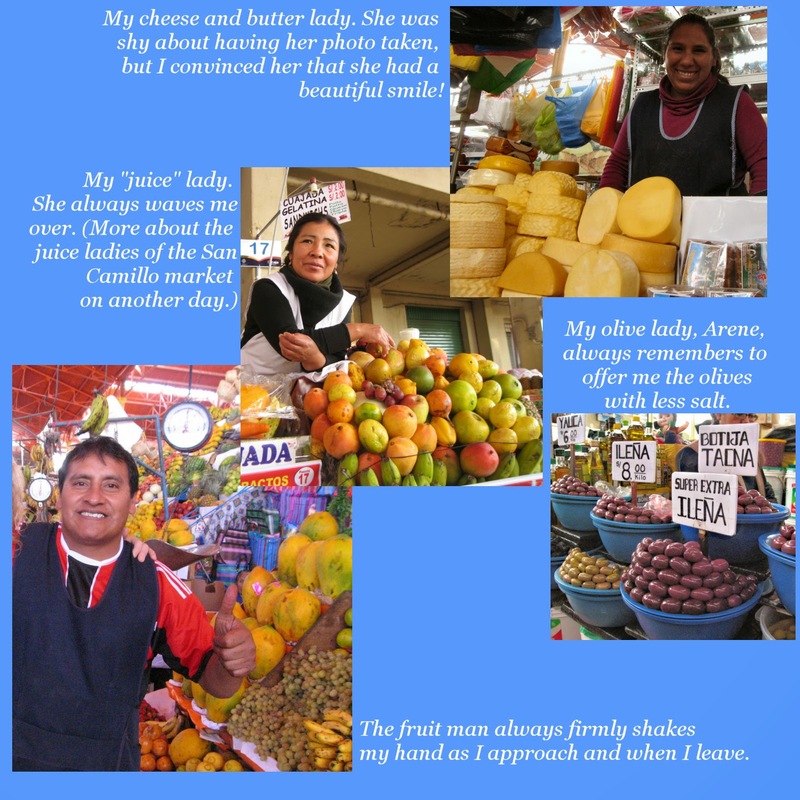 More about shopping in my next post about making tamales in Peru!!! Gotta love developing world pricing though! How much does gold go for down there? What is the gold markets like?